CHECHESMITHNATION : Style Inspiration! Bonang Matheba Chic And Pretty! Style Inspiration! Bonang Matheba Chic And Pretty! 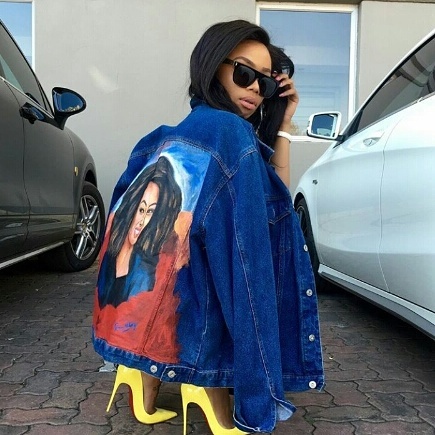 We are loving her custom made denim jacket that featured her face portrait on it. She paired her look with yellow cute pumps with her eyes covered with dark shades.